My grandmother began writing short stories about her travels a few years ago. I saw an opportunity to collaborate with Vivid Motion and bring them to the stage. Travelogue uses spoken word and dance to tell the stories of a New England retiree’s travels around the world in the 1970s. It presents a voice and experiences that are rarely seen on stage. I’ve enjoyed Finyette Productions in past festivals and am looking forward to seeing their show this year. I was also happy to hear that Footlights Theater is joining the festival and I’m eager to see their show as well. 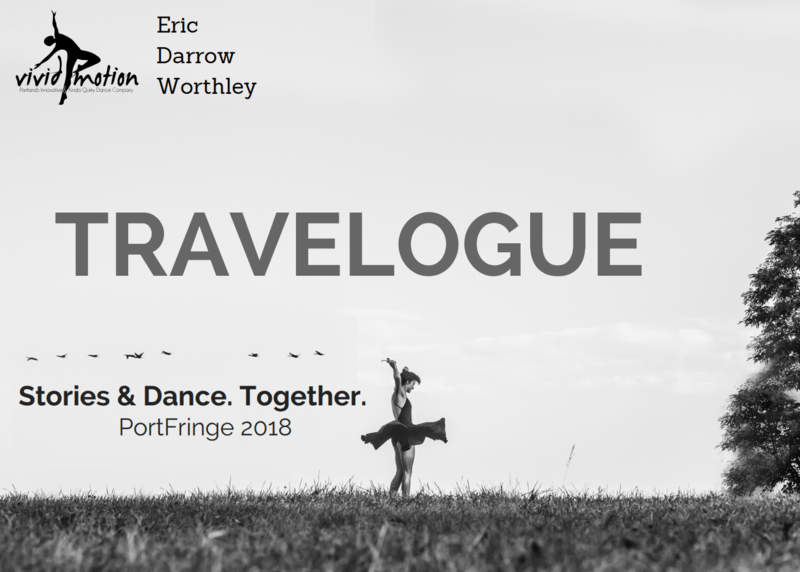 SEE TRAVELOGUE AT PORTFRINGE 2018!